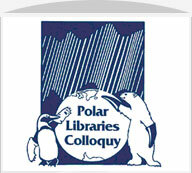 In 1996 the Polar Libraries Colloquy (PLC) passed a motion at its 16th meeting in Anchorage, Alaska establishing the Hubert Wenger award to commemorate Hubert’s outstanding contribution to polar libraries. The award was amended in 2014 at the 25th annual meeting in Cambridge, UK to include some travel expenses. The award is funded though the proceeds of the Circumpolar Auction held at each Colloquy. Donations to the award are welcome. The purpose of the award is to provide financial assistance to one or more delegates who might otherwise be unable to attend a PLC biennial meeting. The award covers the full cost of registration for the meeting and up to $400 in travel costs. Delegates who have received two Wenger awards in the past are not eligible to apply for further funding. the title and abstract of their proposed presentation. The presentation should be a full paper rather than a poster. a cover letter or email stating why their organization is interested in participating in the PLC meeting. If an applicant is from an organization that has recently attended a PLC meeting, it is expected that the applicant or his/her organization will have paid the latest PLC membership dues. Deadline for application is March 31 of the year of the Colloquy meeting. The next deadline is March 31, 2018.